There is something extremely calming about boats to me. At a lake shrouded in fog in New York I really felt as though the world was only as large as openings between the mist. Like covering your head with the blankets and willing that dream back, the mist was my blanket and the dream was a comfortable place for my mind. The mist felt invigorating when I filled my chest with it. 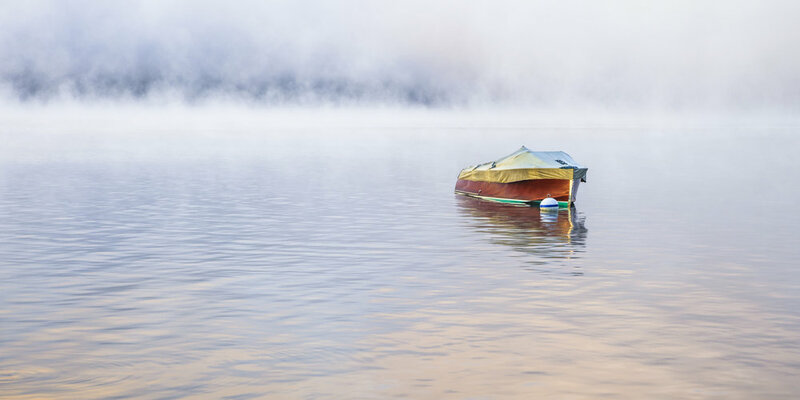 While waiting for the small boat to turn in the current I imagined that the condensed air I exhaled on the cool morning was adding to the morning's misty blanket; I was a part of the magic. That was just Nature allowing me to play along the way she allows all of us from time to time, if we pay attention to her.